Dichroic glass is so beautiful, it sparkles like no other glass. 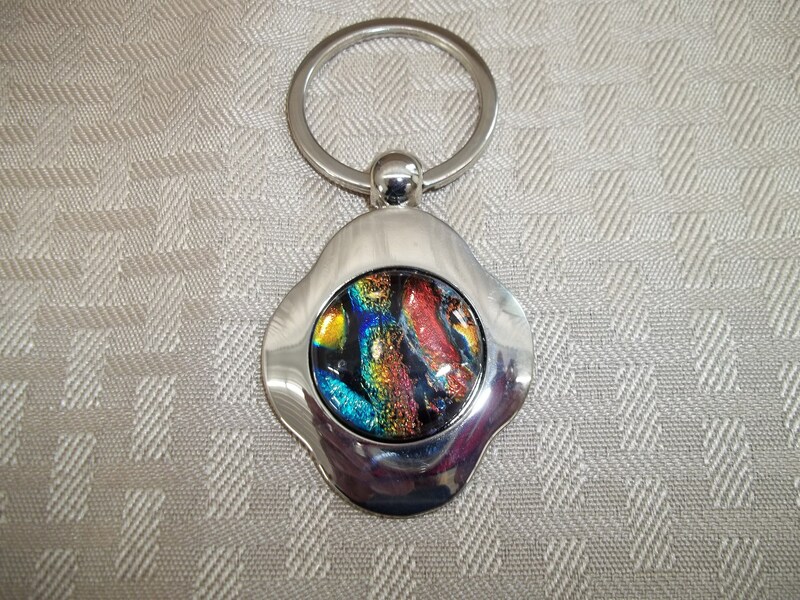 This handcrafted key chain was crafted using a variety of colors of this amazing glass. This cabochon was fused twice in the kiln and then inset into this sturdy key chain. This piece measures approximately 3 1/4" long, including the ring, by 1 5/8" wide at the widest point.